A collection of Macallan single malt whiskies has set a new world record price for any lot of whisky sold at auction, selling for more than HK$7.72m (US$993,000). 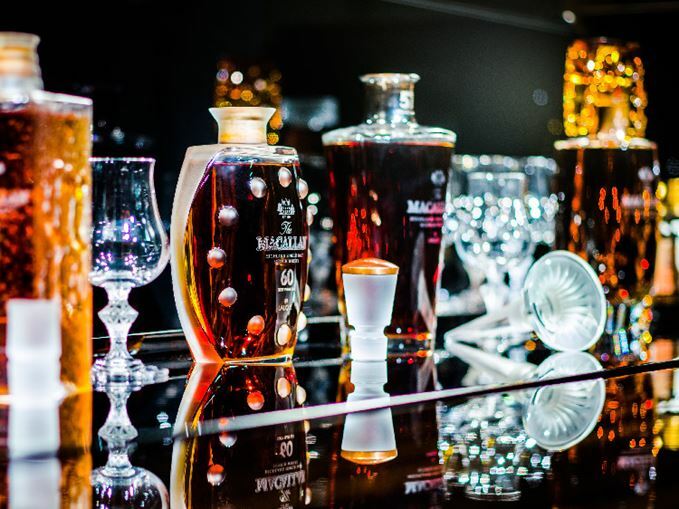 The Macallan in Lalique Six Pillars Series – The Legacy Collection, comprising Scotch whisky aged between 50 and 65 years, was auctioned by Sotheby’s in Hong Kong on Sunday (2 April). The winning bid by an unnamed buyer almost doubled the high pre-auction estimate for the lot, which was predicted to sell for HK$2-4m/US$260,000-500,000. Proceeds from the auction will be used to help charities working with disadvantaged people in Hong Kong and across Asia, from providing food and medical needs, to teaching people skills to help them back into employment. Collection of 42 bottles joins rare Dalmore and Port Ellen in Hong Kong auction this weekend.